A highly connected, mobile society like ours needs plenty of juice. Not surprisingly, there are plenty of places to plug in and get charged at home, work and school – even the local coffee shop has a handy outlet to juice up our mobile gadgets. Now, the good ol’ park bench is joining the digital age. That place to just sit for a spell is actually a solar-powered, multi-function piece of smart furniture. The Town of Newmarket is the first in Ontario to introduce a Soofa solar-powered bench that charges mobile devices. At least, if you’re in Newmarket Ontario it is. Or Edmonton Alberta. 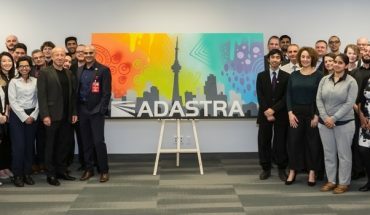 They are the first Canadian municipalities to install a Soofa, a high-tech enabled solar powered station for recharging portable and mobile devices like smartphones or tablets. Edmonton has two in operation; Newmarket has one Soofa, the first in this province. Last month, officials there unveiled the new Soofa bench at the town’s Riverwalk Commons, a popular public gathering and live event space. It’s free to use. There are two weather-proof USB ports (but you’ll need your own cable). 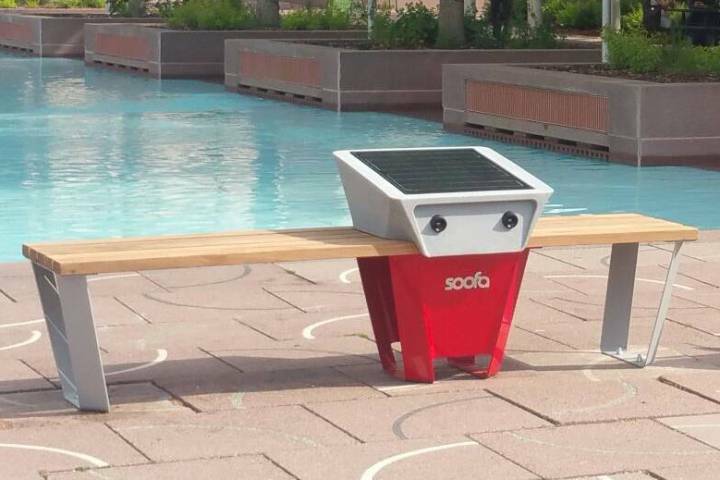 The Soofa charging station is powered by sunlight, via its built-in 30W tempered glass solar panel, and it has its own rechargeable internal battery for storing power, rated to 20W 8 Ah, so the bench strength is good enough to change several devices (sequentially) and to operate for a spell absent direct sunlight. But with certain other features and functions added, the bench becomes an even smarter piece of furniture, acting as a computerized sensing and data collection station. It can monitor local environmental conditions and air quality, for example, or track nearby foot traffic. Currently owning just the one Soofa bench, Town of Newmarket Corporate Communications Officer Kate Porretta wrote in email correspondence with WhatsYourTech.ca that “It’s early days yet — we’d like to see how it’s received by the community before we explore the option of more. The bench has the capability to run analytics, and the Town is intending to work with Soofa on this in the future. We’ve heard great feedback so far from the community and we’re looking forward to implementing the analytics function,” she noted. Richter also described a “network of partner cities” that helps users learn about smart furniture like the Soofa by sharing experiences and innovative ideas. Richter and her team of high-tech entrepreneurs from MIT developed and designed a solar-powered bench, or a “soofa”, that was first shown as part of an emerging technology demonstration at the White House, when President Barack Obama’s staged a Maker Faire there in 2014. It wowed the crow, and was hailed as one of the “six wonders of the Maker Faire” in the Wall Street Journal. 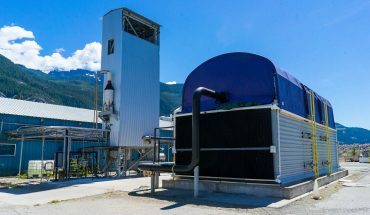 Just a week later, the first of 12 units in Cambridge and Boston was being installed. Richter continues to develop solutions for urban living, and the company has other smart furniture products and features to come. 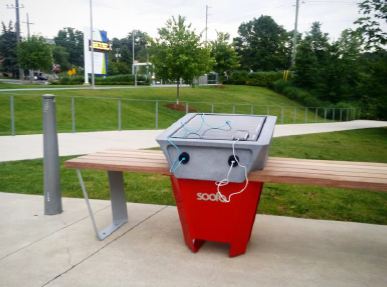 So in 2017, Newmarket’s Soofa bench could be upgraded with sensors and a detailed analytic function to measure how busy it and the surrounding Riverwalk Commons get (the data would be sent from the bench to the Town over a private cellular network), helping municipal staff find ways to enhance the public space’s value for a lively community of 85,000 people and counting. With the installation of the bench, Newmarket now joins the Soofa Beta Cities network, including New York City, Boston and Cambridge, Austin, LA and more, making Newmarket the first municipality in Canada to join. 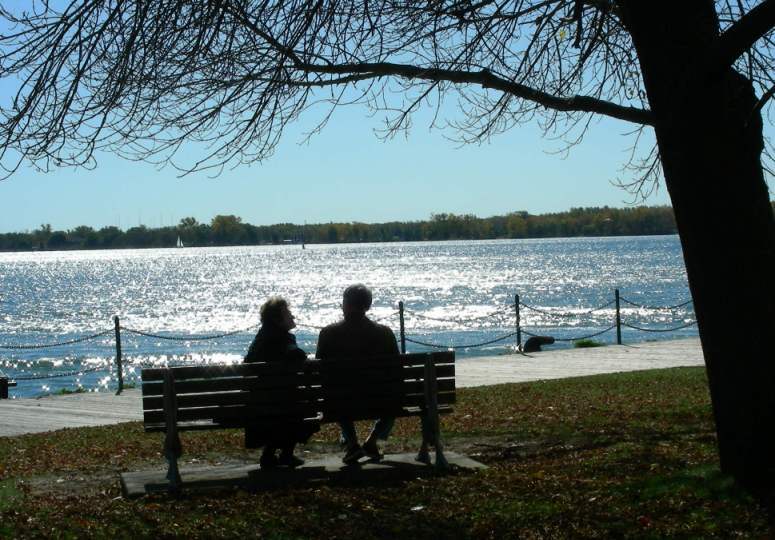 Partners in Canada are looking to have approximately 25 benches for full analytic functionality to be set up here. 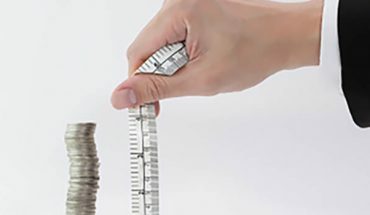 While a standard city bench can reportedly cost between $2,000 and $3,000 USD, the Soofa models start at about $3,800 and the price goes up with extra data collection features. Boston recently installed some fully-featured models that cost about $4,900 each. Sit on that for a while. A moment of romance? A chance conversation? Nope, probably charging a cellphone. Image: Lee Rickwood.